Here is Mr. Botts, an Interior Decorator. He was hired to help repair The Professor's house after one of BOOTS' boyfriends, Mervie, accidently set the house on fire. 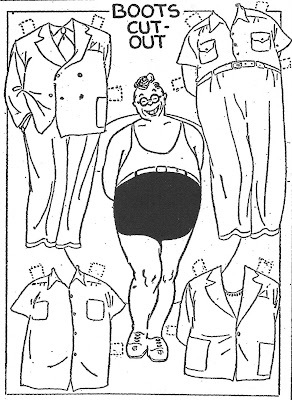 This paper doll is from September 10, 1939. Many thanks to Edgar Martin. 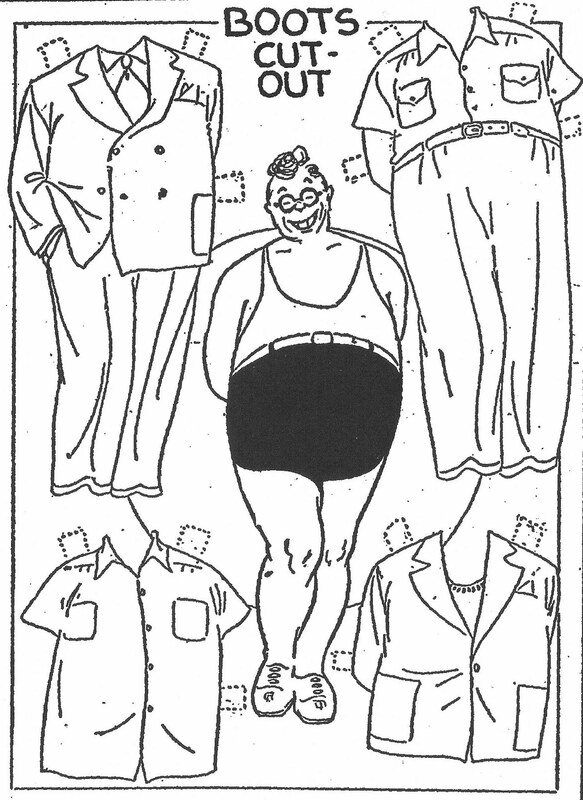 Ah, finally a chubby paper doll!! He looks like my husband only better dressed! Thank you for sharing this lovely gentleman.